This weekend coincide the summit of the seven major industrialized economies in Canada, rarefied by trade tensions between the US and the European Union, and that of the SCO in the eastern port of Qingdao, where Chinese President Xi Jinping wanted today give an image of unity and common objectives. “The spirit of Shanghai is focused on exploring a common cause while we set aside our differences and seek cooperation for mutual benefit,” said the Chinese leader at the banquet prior to the summit, held at the pier of the Olympic port of Shanghai. Qingdao, home of the sailing trials in Beijing 2008. 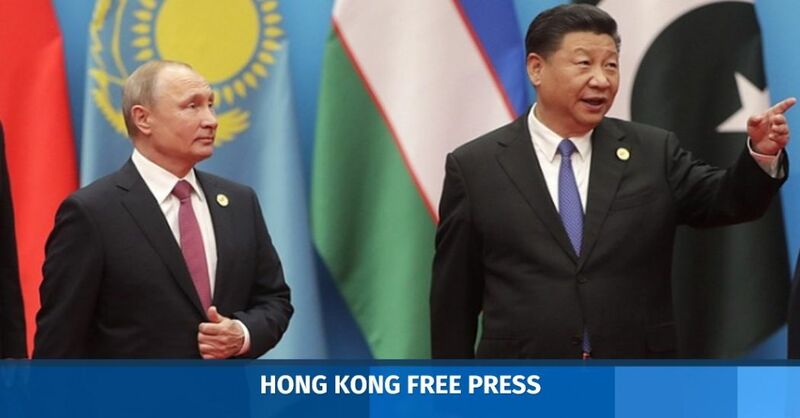 “We have achieved fruitful results in security, economic and trade cooperation,” which is why the SCO, seen by some observers as an analogous version to NATO in Eurasia, “has become an important force in maintaining regional security and promoting common development, “said Xi. Today, as a preamble to the plenary of leaders held on Sunday, was led by bilateral meetings in which Xi and Russian President Vladimir Putin, as responsible for the two governments that lead the organization, strengthened ties with the rest of Member States. Among these meetings, Putin today held a meeting with Iranian President Hasan Rohaní, who is making his first trip abroad in China since the US announced its withdrawal from the multi-party nuclear pact with Tehran. In contrast to the tensions between Iran and the United States, which threaten a new international isolation for the Islamic Republic, Rohaní thanked the Russian leader today for his support for his country to be admitted to the SCO as a full member. Iran, Afghanistan, Belarus, and Mongolia are observer countries of the organization, including China, Russia, India, Pakistan, Kazakhstan, Tajikistan, Kyrgyzstan and Uzbekistan, nations that account for almost half of the world’s population. The SCO, founded in 2001 at the initiative of Moscow and Beijing, has managed over the last decades to coordinate regional cooperation on security issues such as the fight against terrorism, drug trafficking or cybercrime. Russia, a country whose return to the G7 requested this Friday by US President Donald Trump, has tried since 2014, when his confrontation with Ukraine distanced him from the EU, increase its ties with China and other countries of the former Soviet orbit, and the SCO it has become for Moscow a transmitting belt of that effort. Despite the image of unity that China and Russia want to give this week within the SCO, the entry into the organization of India and Pakistan, traditionally opposed by Kashmir, could cause unprecedented tensions within the organization. It could also break internal harmony the current mismatch between India and China, border conflicts that last year even led to a temporary occupation of Chinese territory by Indian troops. Or the mistrust of New Delhi to the strategic and economic expansion plans pursued by Beijing under the slogan of the “New Silk Routes”, a program of development of infrastructure and global telecommunications led by China in which India is very reluctant to enter.